Hi. My name is Jack Berne. I am ten years old and I am in Year 4 at St John the Baptist Primary School at Freshwater in Sydney, Australia. We have been learning about the drought and the Farmers and I heard that there are kids that are skipping school to help out on their farms. Kids that are our age! My school mates and I want to fundraise for the Farmers - "A fiver for a Farmer" - but we need your help! If we can raise some money, I think we can all feel better about helping our mates on the farms! We believe in community, we believe in having each others back, and we believe in the Aussie spirit. We believe that together, we can make a huge difference to support the Farmers. We can all spare five dollars - some of us more - so collect that small change and help us make a big difference. * All proceeds are to be shared between Rural Aid and Drought Angels. These two organisations are incredibly well regarded in the community for their efforts in helping out the rural community and we are proud to support their cause. * Campaign run by the passionate kids of St John The Baptist Primary School, Freshwater, Sydney, Australia. * All money will be remitted to the bank account of St John The Baptist Primary School where the full amount of money raised will be split between the above mentioned organisations. Hi All, we have received a few messages regarding the tally. All monies currently raised have been distributed to Rural Aid and Drought Angels.The tally will continue to grow but we aren't holding any of the money. Keep raising awareness for our drought-stricken farmers! The drought is far from over! Please check out our Instagram @afiverforafarmer for further updates! Our government don't seem to care about our farmers, it takes a 10 year old to show compassion, and a remarkable 10 year old at that. Jack you are an inspiration and I know that these poor farmers out there will be forever grateful for you thoughtfulness and efforts. Congratulation Jack; you are a born leader of the best kind. Good on you Jack. We all need to watch the backs of our ossie farmers and dig deep. lets shock the nation and ourselves with how much we raise! Great job little man. Wish more people were like you and wanted to make a difference. You are going to change many lives with this fundraiser. Hi Jack, Well done on being the start of something amazing! I want to get behind you with this, I am the owner of Surreal Strokes Face Painting. Though I am only 1 person, I will be donating $5 from every face painting gig I work at during the month of August. My local school's have also come on board your amazing idea, and I couldn't be happier to get on board! I will be encouraging parents and other guests at the events to come onto your Go-Fund-me page and make a contribution - Or take a cash donation and place it to you on their behalf. I wish you all the best! Would be great to use the $67,000 you already have to get food for the farmers and their animals before it is too late? 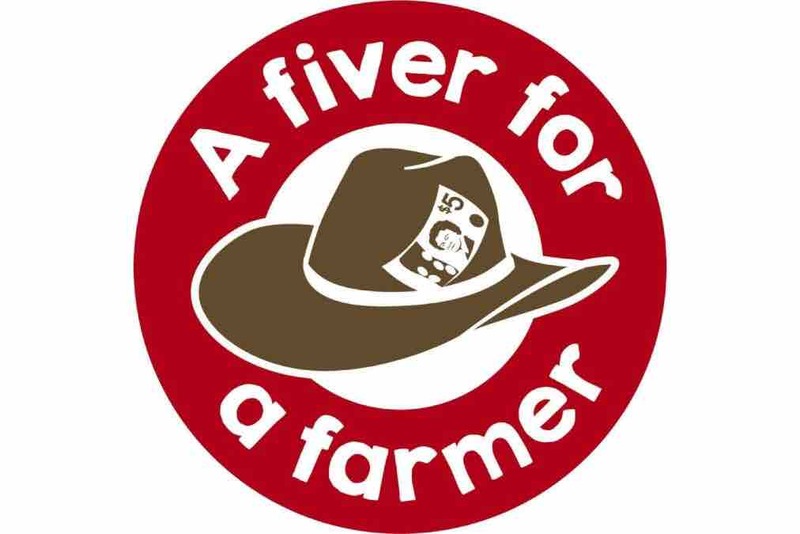 Hi Jack, I live in Bundaberg, Queensland and my 11 year old daughter would love to help with the fundraising by having a "A fiver for a farmer" day next week at her school. How would we go about donating that large an amount without a credit card, can we deposit the money to an account with GoFundMe? You are a remarkable young man and a real credit to your school and community. Jack, you are an inspiration - your compassion and care for those whom are the backbone of this country is heartwarming. Our farmers deserve help and we are happy to help you with this. Well done Jack! You're a little champion. Hi Jack, you're achieving an amazing result for such a wonderful cause. The kindergarten I work for, Currumbin Pines Early Learning Centre will be dressing like farmers on Monday to help raise funds. Keep up the great work. Make sure you are a registered charity or have filled out the paperwork to work with an established one or you could be charged income tax on this. I've heard of others trying to help out but they didn't know they could get taxed on the money they raised out of the goodness of their heart and the generosity of others too. I have heard that this drought is expected to continue for quite some time so donations need to be something we keep doing to look after our own farmers who work so hard to provide all our necessities. Thank you. Go Jack, congratulations! We need more people like you. Farmers need us and this is the time for us to give back to them, not like our politicians who don't care what is happening around them - selfless and gutless. The Kidz Cubby and The Kidz Rock Educational Centres.